how can I set only the one value to required lookup field, when I create new item in workflow. I tried use workflow variable, ID but I do something still wrong. So I have one list A wiht values AB, AC, AD etc. On list B when I select yes in choise field, workflow create new item in list C, where is also lookup field (required) with value from list A. And I only want to set value AB for every created items. 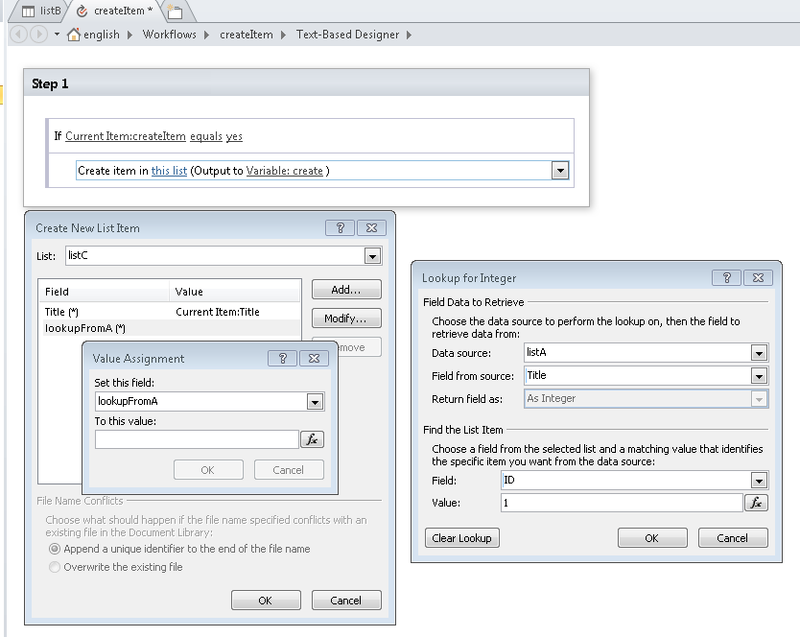 Workflow ends with error: Coercion Failed: Unable to transform the input lookup data into the requested type. I found that I used wrong data type, but I don´t know what to do. Hi, I got stuck in this issue and could solve it so I decided to share that in here: It's too easy, you should set the look up the field as the Current Item ID. then it will automatically collect the value for lookup. in the picture bellow you can see that I've set lookup (my columnm' name) as 1 which means the item with ID 1 but it will set the value that I need in the connected list. Hope to be helpful. I apply it when an item is added in SharePoint Designer. Then you can use SharePoint designer to apply that ID to a different column using a lookup, but the lookup has be ID based. The Lookup by ID can return the other fields you actually want! Tristan Lilya is a new contributor to this site. Take care in asking for clarification, commenting, and answering. Check out our Code of Conduct. Not the answer you're looking for? Browse other questions tagged workflow lookup-column or ask your own question. How do I know that which server processes my custom workflow in SharePoint 2010? How do I retrieve the value of a lookup-field in a workflow?